Bus Passenger Survey suggests our region has it good…. Let’s hope the Paddington Reading stretch of Crossrail opens on time…. • Operate efficiently, providing best value for taxpayers’ and passengers’ money, thereby ensuring the maximum possible resources are available for further service improvements. The outcomes of the Draft Transport Accessibility Plan consultation are included in the Inclusive Transport Strategy (ITS) which states the Government’s future plans for accessible transport. The ITS released on 25 July 2018, identifies five themes which should underpin future efforts to realise a transport system which enables disabled people to access and confidently use transport: Promotion of passenger rights and enforcement; Better Staff Training; Improved Information; Inclusive Physical infrastructure; and, Future of Inclusive Transport. Having provided the DfT with our Stakeholder document’ “Connecting the Dots”, we are encouraged to find TWSW’s fingerprints on the consultation document. The impressively large turnout for our June 22 event provided an opportunity to hone and consolidate views in preparation for the TWSW response. In early/ mid August, a draft version will be circulated among attendees for comment. This Consultation opened Febraury 8 and closed 11.45 pm March 21 2017. 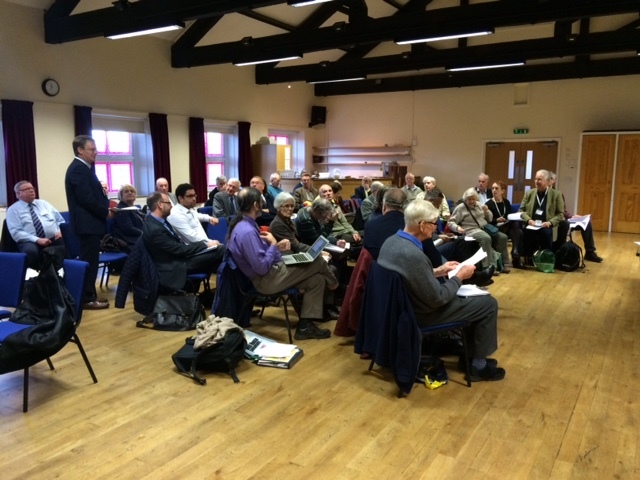 Travelwatch SouthWest attended a consultation meeting with the DfT on behalf of Members. This is the eagerly awaited PRTF Report (issued on 21 November 2016) setting out their priorities for the South West. 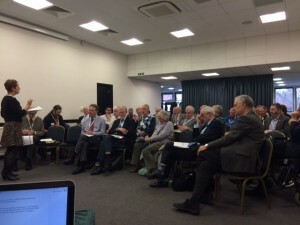 TravelWatch SouthWest are pleased to see the report includes so many of the points raised at the October General Meeting, and thank John Hillman and Philip Heseltine for their engagement. As a result of autumn bus cut announcements and franchise consultations, mid-winter 2015/2016 has been an active period for stakeholder engagement including, the XC Direct Award, a Bus Workshop and the South Western Franchise Consultation. 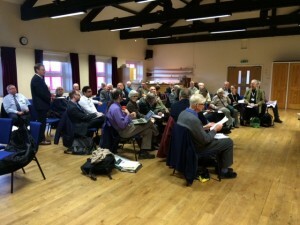 Our Bus Workshop in Taunton on January 21st 2016 generated a high level of discussion and a number of issues were raised which we will pursue at a national level, some of which will be highlighted at our late winter meeting with MPs. Our thanks to our speakers: Derek Beer, Transport Focus; Richard Gamble, Wiltshire County Council and TWSW; John Burch, CPT; Mike Watson, Stagecoach; and Damien Jones, Devon County Council. Stakeholder engagement was very strong and many ideas where expanded upon which may enable some to steer an easier course through these turbulant times. 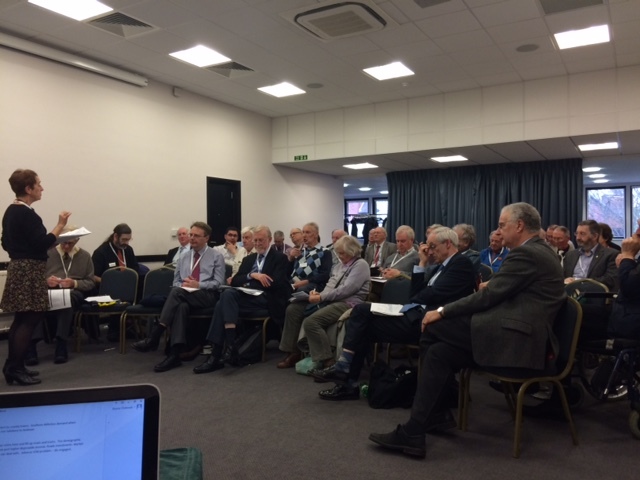 Links to presentations can be found on our Meetings Page. We have digested a large number of written and oral responses to the Department for Transport Rail Executive’s Consultation on the new South Western Franchise to produce a forty-eight page booklet titled, “Specifying the new South Western Railway Franchise: THE OTHER HALF”. Digital copies are be available from February 3rd. In response to the news that Network Rail will not complete the Great Western Electrification Project as planned, we are demanding that the Government takes special measures to acquire additional carriages for GWR’s hard-pressed rail passengers. The call comes following the revelation by ITV today that Network Rail won’t be completing the Great Western electrification project as planned. The cost of completing modernisation of the Great Western main line from Paddington through Reading to Bristol, South Wales, and the branches to Basingstoke, Oxford and Newbury is now expected to be around three times the original budget and has slipped years behind schedule. Network Rail’s recovery plan for the project means that work on the lines to Oxford, Newbury and Basingstoke will be stopped while effort is concentrated on completing the main line. This will have a big impact on passengers throughout the region. Great Western Railway, which operates passenger services throughout the south west, had planned to cascade the diesel trains released by electrification to enhance services, adding more seats in the rapidly growing Bristol and Exeter travel-to-work areas and on the busy routes between South Wales and the south coast. March 7 2015 TravelWatch SouthWest announce the appointment of VInita Nawathe as new Chair at a vibrant meeting. Western Route Study. Draft for Consultation. Responses must be received by close of business on Friday 9 January 2015. First Great Western has confirmed it will be offering discounted fares to customers travelling on its services affected by the closure of the railway at Dawlish. Yesterday, Network Rail confirmed that the damage to the track will take at least six weeks to fix, and trains will not be able to run between Exeter and Plymouth during that time. Instead, First Great Western has ordered hundreds of buses to provide alternative transport between the two cities while the track is repaired. Volunteers from other areas of the business, who have been supporting our efforts to keep customers moving in the area are expected to be joined by colleagues from other FirstGroup rail companies throughout the UK over the weekend. A 25 per cent discount will apply to all walk-up fares – including Any time, Off-Peak and Super Off-Peak tickets – for journeys that pass through the affected area, and will remain in place until the line reopens. Advance Purchase fares will also be reintroduced on the route for combined bus and rail fares from Wednesday next week. The company has been unable to offer Advance Purchase tickets – which are tied to specific trains – since Wednesday, as we were unable to guarantee which trains would be running. First Great Western Managing Director, Mark Hopwood said: “We recognise that this work will mean customers are inconvenienced, and journey times are likely to take longer than normal as we look at alternative ways of getting customers to where they need to go. We want our prices to reflect that. A 30 metre section of the wall supporting the track at Dawlish has collapsed as result of heavy seas during the current spell of bad weather affecting the South West. This has left the line suspended in mid air. See our media section for updates and news.